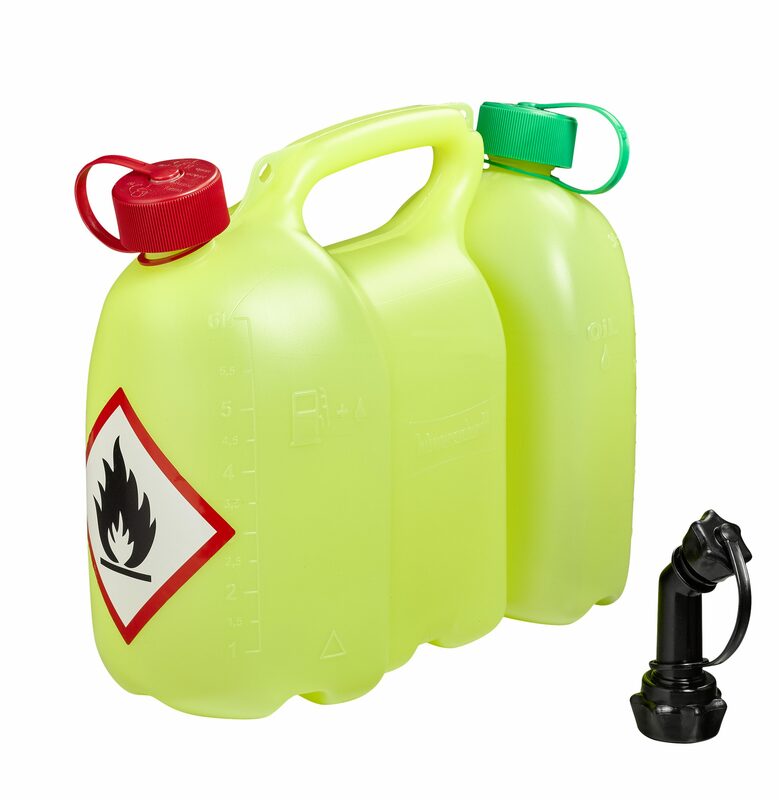 6 litre petrol canister with a 3 litre oil canister. With two screw-on caps and one black spout. <\/span>3.5 litre fuel and 1.5 litre oil combination canister. Delivery includes spout. 3.5 litre fuel and 1.5 litre oil combination canister. Delivery includes spout.